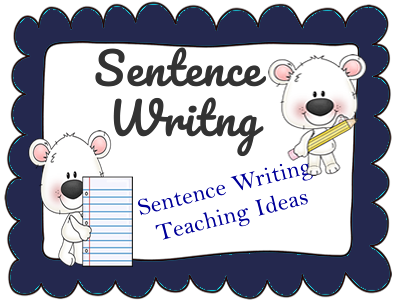 To a large extent, writing sentences is somewhat innate when a child is read to or when a child reads. The exposure to reading leads naturally to sentence writing. It's important not to over correct as the child is taking a risk in writing and if you really think about it, they are more right than they are wrong. The letters are the sounds they hear, they are simply missing more often than not the vowels. Vowels are later in the developmental sequence. If too much time is spent on correcting sentences like those above, the self esteem will be in jeopardy and the child won't take risks in writing which isn't what we want. Provide many pictures and ask the child to write what they see. 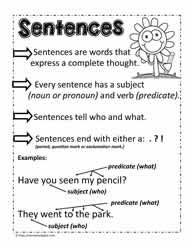 To extend the sentences, remember to use who, what, when, where, why and how. 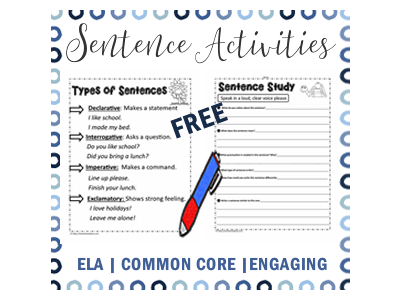 This week, I focused on worksheets to support sentence writing. These worksheets are suitable for early learning and will also help with students who have learning disabilities.